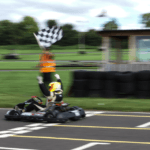 The Daytona DMAX Endurance Championships are designed for the individual driver who wants the ultimate racing challenge - racing a powerful two-stroke kart over a whole hour! The ultimate test of endurance and stamina: Drivers will compete in a 15 minute timed qualifying session followed by a 1 hour non-stop fight to the flag. Following driver registration, drivers weigh in to ensure that they meet the minimum and maximum weight limits for their chosen weight class, before attending the driver briefing – which provides a comprehensive safety briefing and track guide for all drivers no matter how experienced they are. The Drivers are then invited to pick their karts at random prior to qualifying. Qualifying practice is 15 minutes and lap times during the session will determine grid positions with the driver posting the fastest lap taking Pole Position. If a driver is unhappy with any aspect of their randomly-picked kart’s performance, they are able to swap their kart during the qualifying session provided a Daytona Engineer confirms the fault. Once the Qualifying Practice session has ended, drivers cannot swap back to a kart they have already rejected. 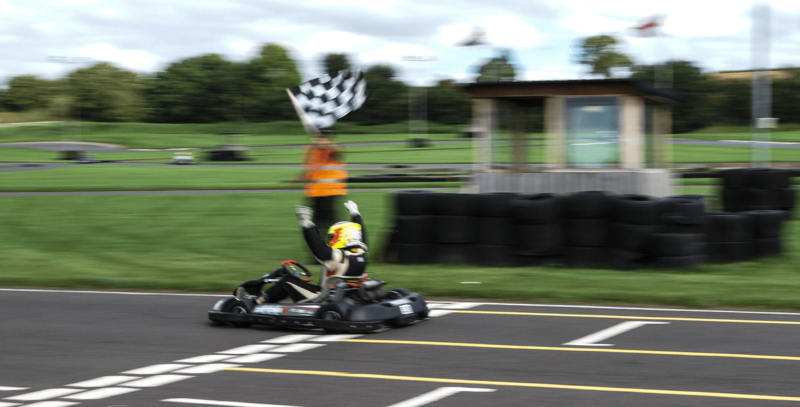 Once the green flag has dropped, it’s a non-stop, 1 hour test of your endurance and skill. The karts will run the entire race on one tank of fuel so your only strategy decisions are based on the drivers around you. It takes supreme concentration to keep up a fast pace over an entire 60 minutes and only the best will take the chequered flag first. Do you have what it takes? There are three weight classes in the Daytona DMAX Championships 2018; Lightweight, Intermediate and Heavyweight, meaning drivers race on equal terms. Drivers may carry as much ballast as required to meet the minimum weight for Lightweight entry, whilst Intermediate and Heavyweight drivers may only carry a maximum of 7.5kgs.